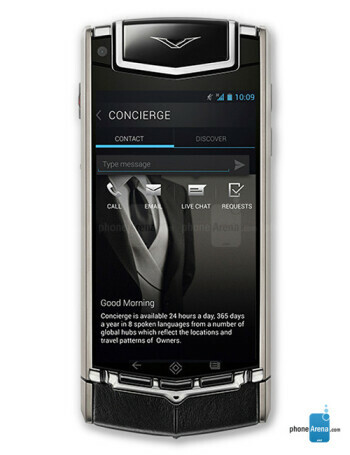 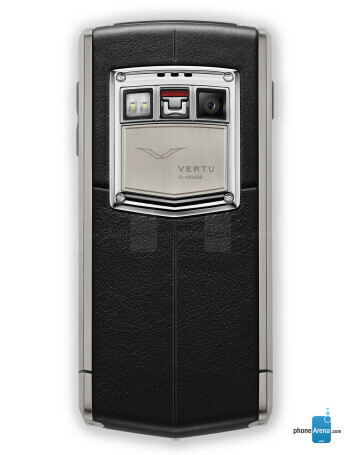 The Vertu Ti is the company's first Android phone. 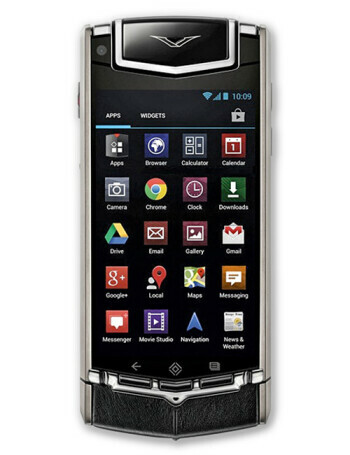 The Ti comes with Android 4.0 Ice Cream Sandwich inside a polished titanium case with leather accents and a virtually scratch proof sapphire crystal screen. 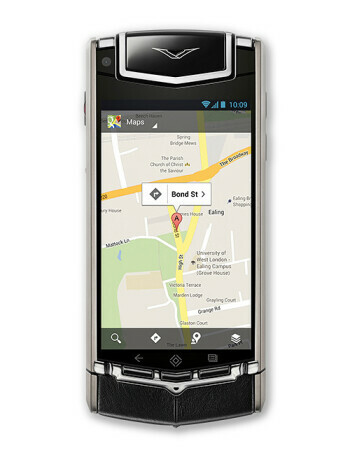 It boasts a 1.7 GHz dual-core CPU, 3.7'' display, 8 MP main camera and 1.3 front one, 64 GB storage and 1 GB RAM.